I hope you take a moment to read this – even if you’ve already earned a different interview certification! 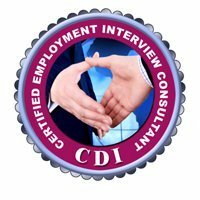 Because the Certified Employment Interview Consultant program isn’t like any other training and client delivery system you’ve ever seen. It’s truly a one-of-a-kind complete system that helped me break the 6-figure mark back in 1995. It’s helped numerous resume writers and career coaches do the same ever since. It also allowed me to deliver lucrative transition workshops all over the country for downsizing companies (including the US Treasury). I’ve seen the CEIC work for career professionals in all kinds of settings from university career centers to entrepreneurs reading directly from the modules while on the phone with executive clients. If you want to gain a new skillset (or pump up the one you’ve got), earn a new certification, work less hours, and make more revenue, the CEIC can help you do that very easily. So what exactly is in it for you? You Can Start Immediately With Everything Done for You, and That’s Not Just the Handouts. Every single module is a script to be delivered as you speak it. You could literally have a client on the phone, turn to the section needed, start reading, and sound immediately like an expert. But even better, you also have color-coding for illustrative example stories and activities, plus all the quizzes, checklists, and tip sheets your client will need to grasp the content. Of course, I’m also making sure you receive the most up-to-date materials on every topic from interview preparation stress reduction to salary negotiation. There are 18 juicy scripted modules of content you can use! You Can Profit Immediately as You’ll Learn How to Sell & Package Interview Services for Greater Revenue Per Client. That’s right, you’re not just going to learn interview strategy, but how to position it, package it with your services, and create offerings that let you reduce the hours you work each week. Just imagine having a $300 offering per client that takes you only three hours TOTAL on the phone each month, and makes you $3600+ extra a month! That’s some incredible ROI, and it’s only the tip of the iceberg when you learn about upselling and cross-selling without being salesy. I call it edufearacating, and you’re going to love it! It’s part of 6-figure growth strategy I’ve used to help hundreds of career entrepreneurs build and maintain 6-figure-plus businesses, without their having to get uncomfortable. You Get Big Bonuses Valued at $1473 to Make Sure This is a Program You Don’t Just Buy and Never Use. These bonuses are being offered as a ONE-TIME-ONLY offer! After tomorrow’s deadline, CEIC registrants will no longer have access to these big bonuses. Access to the deep-dive coaching audio recordings from CEIC Live. There are NO plans to offer the CEIC as a live program again, and we’ve never offered anyone else access to the recordings. However, for just one week only, all registrants will receive access to the 10 recordings where we answer questions, dig into content, and coach on the topics. This is 10 hours of bonus material to listen to online or download as MP3s. $999 value. All modules in MS Word and PDF. Registrants to the CEIC program only receive the PDF modules for the course. Only Live registrants and anyone who registers this week will get access to download MS Word as well. Why is this great? It’s easier to customize client take-away materials! $299 value. Everyone who registers during this special will have access to a 60 minute group hot seat coaching/Q&A session on Wed, June 26, 2019 at 12 PM Eastern. I’ve pushed it out until that date to ensure you have time to go through the material and easily complete registration. That way, the call can give you the greatest ROI. I charge $450/hr for 1-1 coaching so depending on attendance, this could be a big ticket for you. (It will be recorded). Est $175 value. You Make It Easier for Prospects to Say Yes While Also Reducing the Risk of Resume Chargebacks. It’s not just that you are going to learn to package and sell more effectively. You’re also going to show clients you have more to offer them to be the complete solution they need in seeking their next position. Options are not only a big plus in getting to yes, but when you educate your prospects about what they need up front (instead of selling just documents or single bandaids), you also reduce your risk of their dissatisfaction. Unhappy clients can no longer blame the resume for not being a magic bullet when you’ve clearly shown them in your initial offerings consultation that there is so much more to the puzzle! The Investment Will Pay Back 1000-Fold. If you could add $20-90K in revenue per year while working less, what’s stopping you? That’s what’s in store for CEIC graduates who leverage this tremendous program. I did and so have many CEIC program graduates!